The Percona Live Europe 2016 conference is moving along quickly, and today we saw a lot of presentations on open source database that AREN’T MySQL or MongoDB. There are more than 100 open source databases in the world, each with their own design and use case sweet spots. 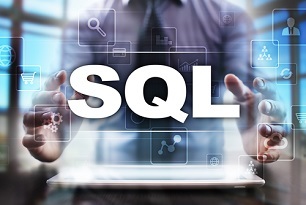 At Percona Live Europe, we get a chance to learn about some of the most popular open source databases, their design use cases, user stories as well as how they work with together with MySQL and MongoDB. One such talk was from Marc Berhault, Engineer at Cockroach Labs. CockroachDB is a distributed SQL database built on a transactional and strongly-consistent key-value store. This talk took a deep dive into CockroachDB, a database whose “survive and thrive” model aims to bring the best aspects of Google’s next generation database, Spanner, to the rest of the world via open source. Marc looked specifically at CockroachDB’s operations and deployment model, and explored how rebalancing, repair, and symmetric nodes combine to create both simple deployment and a strong recovery story. He then explored how you can both contribute to it and use it to build scalable, resilient applications that can be deployed to any cloud infrastructure. Percona’s EMEA Field Marketing Manager Kamal Taibi was able to chat with Marc, and get better insight into his talk. Check it out below!